Nokia announced 3 new phones this morning in London at their Everyone Connect Event. The event had been overshadowed by the Apple’s iPhone OS 4.0 event last week, and Microsoft’s Kin Phone announcement yesterday. Seems like every major player is now trying to get some sort of social network friendly phones out on the market. Motorola has the MotoBLUR UI on two of their Android devices. HTC has updated their SenseUI to incorporate the Friendstream, and yesterday Microsoft showed off its social network based Kin One and Kin Two. Now Nokia has brought us The Nokia C3, Nokia C6 and Nokia E5. All three of which run on the Symbian platform and support multiple email accounts, instant messaging and social networks. 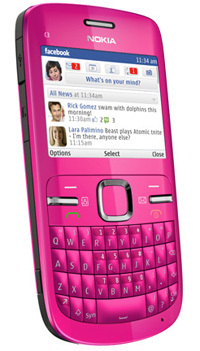 Nokia’s C6 on the other hand will be a full Symbian powered smartphone, running Symbian S60 5.0. The C6 will support HSDPA/WCDMA 850/900/1900/2100 and GSM/EDGE 850/900/1800/1900 networks. It will have a 3.2 inch touch screen, and sliding QWERTY keyboard. The bigger screen will allow the user to have all their social networking feeds, right on the homescreen. A larger 5 megapixel camera will be offered, and a front facing camera for video chatting. It will be bundled with OVI Maps for free navigation, full email and IM support. Apparently will have 7 hours of talk time and 5 hours on 3G networks, and is rumored to be able to run AT&T’s 3G network. Should be available worldwide in Q2 of this year. Finally, the Nokia E5 is the business orientated model of the bunch. It will be a full feature smartphone with social networking. 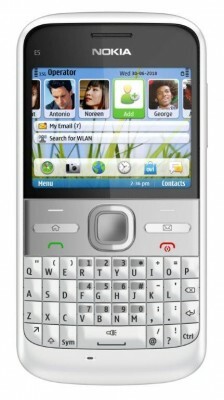 Based of the Nokia E72, it will have a 2.4? QVGA display, 5 megapixel camera, HSDPA, GPS, and wifi. Also it will offer full support for Microsoft Exchange and IBM Lotus Notes. No real spectacular features, just a run of the mill business phone. It will offer good battery life impressive 29 days on standby along with 18 hours 30 minutes on GSM and about 5+ hours on 3G. All 3 phones will offer a microSD slot and have varying internal memory from 55mb for the C3 to 250mb on the E5. All 3 seem to be pretty Nokia-like phones. Running Symbian, they have nice subtle social networking tied into them. 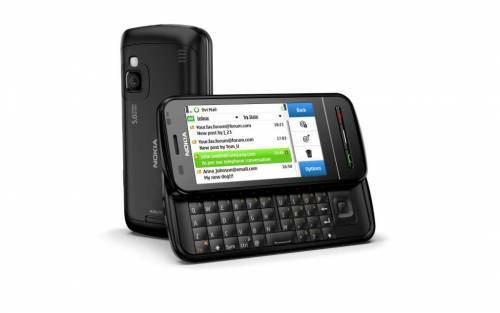 and it makes these a good choice for Nokia fans and anyone else that wants a solid messaging phone with full keyboards. There has been no specific details on availability but should be released in Q2/Q3 of this year. Nokia Maemo Running on HTC HD2, Fake ? KIN, THE “WIN” OF TEEN ! KIN is KIN , competes to WIN. KIN wins the final game ! Still world lives the Windows game. This is good development from Nokia side. But the problem is always about branding and product focus. You always get lost in jungle while you visit Nokia stores with lots of options. You get confused and come back empty handed. Apple iPhone is one phone, and a great phone. So even this development is not likely to better Nokia’s position.